As we closed the 56th season, I announced that the first half of the 2015/2016 season would be my last. After almost eight years with the Kansas City Civic Orchestra, I will be stepping down as music director and conductor. I have taken a position at Missouri State University where I will be Director of Orchestral Studies. October 10, 2015 I will join the orchestra to open its 57th season with Sibelius’ Finlandia Overture. The concert is entitled The Breadth of Brahms and will feature the performance of his 2nd Symphony in D Major. November 13 & 14, 2015 will be our Pops-Style concert to feature music from some adventurous films as; The Lord of the Rings, James Bond 007, Harry Potter and Pirates of the Caribbean…just to name a few. This weekend will feature a Saturday performance at 2:00pm for families with children and an instrumental petting zoo prior to the performance. Kids can come and try different instruments and have an interactive experience with the Kansas City Civic Orchestra. December 11 & 12, 2015 will be our annual SOUNDS OF THE SEASON. 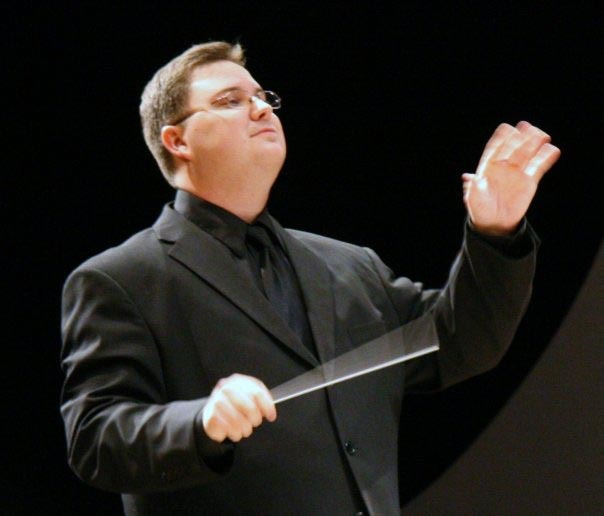 Concerts will be featuring guest conductors for Anderson’s Sleigh Ride and many other warm and season favorites. Saturday, December 12 will be my final performance of the Kansas City Civic Orchestra – and it is sure to be a wonderful evening of music and friendship! March 5, 2016 will feature one of the Music Director Candidates in their debut with the KCCO. They will conduct repertoire to be announced and Beethoven’s Piano Concerto No. 3. April 30, 2016 Will feature the second of the Music Director Candidates in their debut with the KCCO. Repertoire will include Ravel’s Scheherazade for soprano and orchestra as well as the Young Artist Concerto Winner. Soloists this season are Rachel Brandwein (harp) and Hannah Porter Occena (flute) in October. 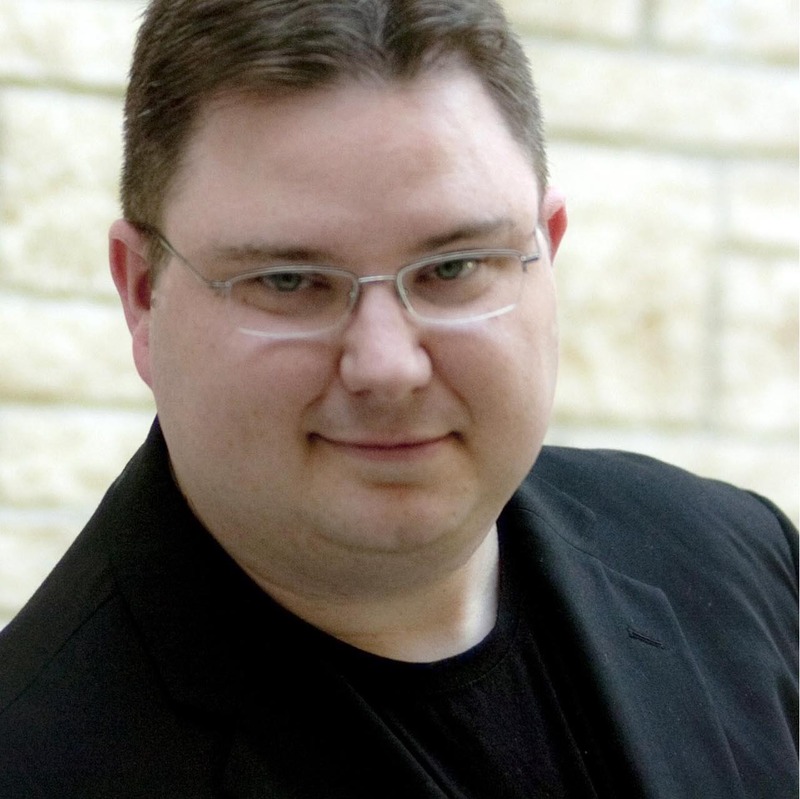 Then we will have Robert Carney (piano) in March. The season will conclude with inviting back Haekyung An (soprano) who made her Kansas City Civic Orchestra debut in 2011, will be back to sing with the orchestra in April, 2016. It continues to be an exciting time of musical and community growth of the Kansas City Civic Orchestra. I look forward to the concerts I have remaining…and equally look forward to having you there to continue to share in the orchestra’s 57th season! Audition requests for the 2011/2012 KCCO Season are now closed. Audition announcements will be made in May, 2012. We are just a few weeks away from saying goodbye to 2010. The Kansas City Civic Orchestra (KCCO) has enjoyed performing in 2010 – we are also excited to bring music to you in 2011! 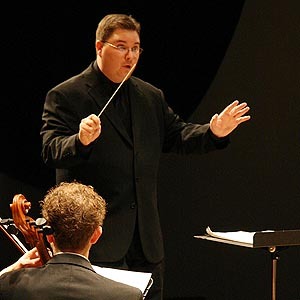 We have two great concerts that feature wonderful soloists, a variety of repertoire and a venue that has been a staple in the Kansas City artistic fabric. Join us February 19, 2011 for our concert Remembering Mahler, when we mark 100 years since the death of Gustav Mahler. It has been a remarkable two years of in the life of Mahler…2010 marked the 150th year since his birth! Orchestras around the world are performing Mahler’s music. I’m particularly excited about this concert – of the programs I put together, this one is my favorite. We will perform Mahler’s Songs of a Wayfarer with soloist Jessica Goldring. Ms. Goldring, being a resident of Berlin, will capture the Germanic style and grace of this music. Mahler wrote for larger orchestras…KCCO is just that…a large orchestra. However, these collections of songs, though featuring a full ensemble, lend an intimate focus on the text and thematic material that would later make an appearance in Mahler’s famous symphonies. The orchestra will end the program that evening with the charming and uncharacteristic Symphony No. 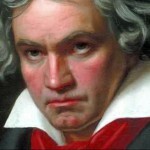 6 “Pastoral” by Beethoven. I chose the Beethoven symphony because, historically, Mahler was a great pioneer in the closing of romantic symphonic music. Beethoven began the development and musical innovation in symphonic writing (his 9th symphony…with four soloists and chorus), and Mahler closes the Romanic musical era with his forward thinking symphonies (Symphony No. 10…which he did not finish before his death). Beethoven’s Symphony No. 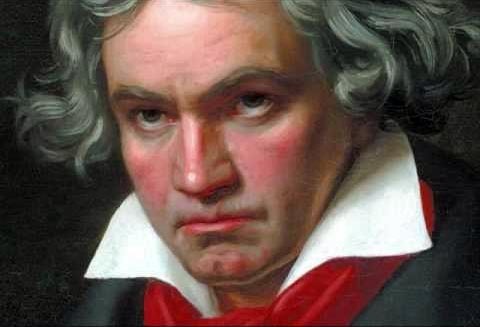 6 is uncharacteristic in the sense that, while most of Beethoven’s music is high drama (to say the least); this particular symphony (while focusing on nature) opens the listener to Beethoven’s intimate, peaceful and charming side. Of course there is still drama – anyone who might listen to a recording of this work will remember that there is a “thunder storm” sequence! The real trick was finding a work to open the program. I didn’t want to use something bombastic or brash. I wanted to find something that would set the mood – bring the focus of the evening to a quieter place – perhaps a religious or peaceful place. I found such a work in Copland’s Quiet City. Kansas City Civic Orchestra’s own Bryan Miller (trumpet) and Anne Sneller (English Horn) will be the featured soloists in this piece. Don’t forget to mark your calendars for this concert – we will also feature a pre-concert talk at 6:45pm to try to dig a little deeper into the music. Magnificence, Mendelssohn & Magic – that’s right! I’m talking about an evening of music that could very well knock your socks off. Well, maybe not that kind of music, but certainly packs a punch. KCCO opens the evening with Liszt’s Les Preludes. This composition is, in essence, a tone poem. Words (though wordless) set to music. This piece has everything a fan of Romantic music would want – exuberant brass, lush and exciting string sounds, sweet and charming winds…not to mention percussion placed at the perfect moment. The program continues with Mendelssohn’s Concerto for Violin, in E minor with violinist Yu-Fang Chen. Ms. Chen is one of Kansas City’s leading violinists…her talents taking her to competitions and performances in the United States and abroad. The performance of this beloved concerto closes the first half of this concert. The second half opens with a new work, written by composer William Funk. The composition, Trettanrune for String Orchestra, was commissioned by the KCCO. Join us at 6:45pm as we sit down with the composer to discuss the evolution of this piece, as well as the other works on the program. The evening concludes with a picturesque scene: the god, Wotan, has put Brunhilda the Valkurie into a deep sleep on top of the mountain. To protect her from anyone who might rescue her…Wotan places a magic fire atop the mountain. Wagner’s (wordless) Wotans Farewell and Magic Fire Music is the final notes of his opera Die Walkuries. It is a wonderful end to a wonderful season. The music is lush with traditional Wagner leitmotiv, doubled string passages, brash and regal brass – it will leave your imagination wondering in true Nordic Mythology. This program takes place in one of Kansas City’s oldest and most beloved venues, the Folly Theatre. So please come out and hear us. Stay connected on our website: www.kccivic.org – you don’t want to miss the remainder of this season. For 52 consecutive years the Kansas City Civic Orchestra has been bringing free concerts to the audience of Kansas City…won’t you come and live the music? It’s 3:22 a.m., and it is pretty typical that I am awake at this hour working or trying to find something to do to fall back asleep. Tonight I have decided to use this time to write a blog entry talking about the Kansas City Civic Orchestra’s upcoming 52nd season. We have an excitng season planned with great guest soloists, and of course, wonderful repertoire. Our first concert in October will feature soloist Ruslan Biryukov, whom you may remember was with us last year performing the Rococo Variations by Tchaikovsky. Well, he has returned and will be performing a work that is not performed as often, but is still a staple in the cello repertoire: Prokofiev’s Sinfonia Concertate for Cello and Orchestra. This piece will open the season and accompany two other famous Russian composers; Borodin and Stravinsky. Since the concert is entitled “Nostrovia! A Celebration of Russian Music” the Civic Orchestra will also perform Symphony No. 2 by Borodin and Stravinsky’s wonderful Berceause and Finale from his Firebird Suite (1919). As a side note, did you know Nostrovia is Russian for “cheers”? It might not be appropriate to bring your favorite vodka to the concert – so bring your other spirit for hearing great music and join us. Please remember to stay up to speed on our website for concert dates and times. In November we will perform Schubert’s famous Symphony No. 8 “Unfinished”. I will dive into more detail during my pre-concert talk for this concert…trying to answer questions like “Is there another reason it was entitled Unfinished, besides the obvious?” and “Why wasn’t Schubert as popular as Beethoven?” Information on this pre-concert talk can be found on our website. This concert is pretty interesting in the fact that the first half features a much smaller version of the Civic Orchestra. We will open the concert with Rameau’s Les Indes Galante Suite. If you have not seen this baroque opera, I encourage you to get to your Netflix or Amazon.com accounts and find this work – particularly performed under the music direction of William Christie. We have two soloists for this concert: Sophia Tegart, piccolo, and James Keel Williams, bassoon. Both will be performing concerti by Vivaldi…and I don’t know about you…but Vivaldi is one of my favorite composers. Seems his ability to write both dramatic and fun music contains a great balance that is sure to please. The first half our season ends in December with our annual Sounds of the Season. The Civic Orchestra is sure to make your preparations for the upcoming holiday season a festive one. This year we have a few tricks up our sleeve for your listening pleasure…but I can’t reveal them. Rest assured that when you attend this concert, you will walk out whistling your favorite tune. This is always a wonderful concert for us to give to you. Though it is usually cold outside, inside it is warm and happy. So come and hear us for some of your favorite Christmas and other holiday favorites. Get there early – this concert is always packed to the rooftops! I look forward to seeing you and you hearing us at the next concert! Good morning…well, after a weekend of wonderful music, the Civic Orchestra is back at it. A few thoughts about the opening season concert: As you know, we had Ruslan Biryukov with us. His performance encompassed wonderful musicality, displayed versatile technique while giving the Rococo Variations a fresh sound…truly in command of the cello. The orchestra followed great – every twist and turn, and made great music. The Brahms speaks for itself. Such a great work – who doesn’t love Brahms?! Seriously, I don’t think I have ever heard any Brahms that I didn’t enjoy. We had a large turnout…our listeners always come out and show their support. Thank you to Atonement Lutheran Church for hosting our opening concert. Now on to a new concert cycle. Keep checking back for more blog updates! This is my first blog entry to the newly revamped Kansas City Civic Orchestra (KCCO) Web site. I hope that you will take some time to look around at the historical photos, our new short video documentary, and of course our 51st season schedule! It looks to be another great year for music in the greater Kansas City area. Our opening season concert will take place this October 24. It is a very exciting concert as it features all three of my most favorite composers: Wagner, Tchaikovsky, and of course, Brahms. I love to program seasons. Of course a conductor looks at budget, personnel, venue, etc., but picking a program is a lot of fun and gets me looking at repertoire from all genres, sizes, “popular” and less frequently performed works. The Wagner, Die Meistersinger Prelude, I chose due to its massive use of the orchestra. It’s been a long summer, and I wanted to use the most players as possible to let our listeners see and hear how wonderful the size of the KCCO has grown. Symphony No. 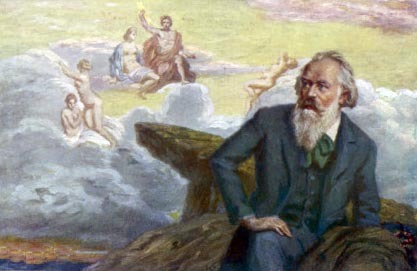 2 by Brahms is probably one of the most popular of his four symphonic works. Aside from it being just long enough in duration to program other works of substantial size, to a wonderful key of D major – Brahms really shows off his lyrical and beautiful writing in his second symphony. Plain and simple – it’s a wonderful work – beautiful sounds mixed with a triumphant finale movement. Our featured soloist for this concert is a wonderful cellist, Ruslan Biryukov. He will be performing Tchaikovsky’s charming Rococo Variations for Cello and Orchestra. This work is comprised as a theme and variation form. It is quite easy to follow musically, and the cello technique is demonstrated with a sort of “Russian/Viennese Class.” Without a doubt you WILL enjoy Mr. Biryukov’s playing. I encourage you to bring your cellist friends to hear his performance. THE INTERNET: What do I mean? All of the pieces listed above can be observed visually and audibly from a wonderful site called www.YouTube.com – I am not ashamed to say that I am completely addicted to this site. You can observe some of music’s most wonderful performances as well as other postings from all other musical organizations. I urge you to give a listen. Well, I must be off. The KCCO has a lot of rehearsing to do. I look forward to writing many more blog entries, and look forward to seeing you all at our concerts. Stay up to speed on our Web site – and always it is great pleasure for me and the members of the Kansas City Civic Orchestra to bring you our music.